DeKalb County has faced more than its share of adversity in recent years. We should never lose sight of the fact that our community remains one of the most desirable places in Metro Atlanta to live, work, and raise a family. I prefer to focus on the good in our community. On the bench, that means focusing on the good in each and every citizen who appears in court. The most important tasks for a judge are to keep our families safe and see that justice is served. DeKalb State Court has jurisdiction over misdemeanor criminal offenses. Some of the citizens who appear in my courtroom as defendants are at risk of finding their way back into the criminal justice system – possibly with a felony charge the next time – which makes it important to give them individual attention. Whenever possible, I encourage young citizens appearing in my court to stay in school or get their GED, assist citizens with addiction or mental health issues in obtaining treatment, and hold everyone accountable. Only when we break the cycle of recidivism will we enhance public safety in our community. State Court also is the main court for civil cases that end in monetary judgments. If you are an attorney or party in a civil case, I hope you will find me to be a cordial and well-prepared judge working hard to maintain the top-notch reputation of our DeKalb State Court bench. 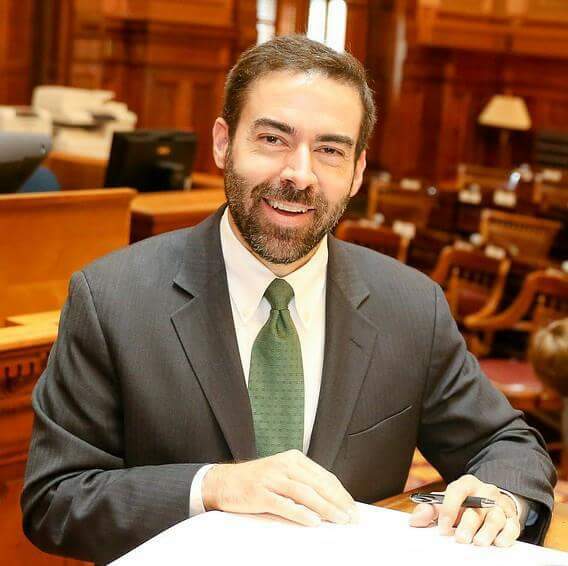 I love DeKalb County and have devoted more than 12 years to public service, first in the Georgia House of Representatives and now on the State Court. If you see me in our community, I hope you will stop and say hello. You can also follow me on Facebook and Twitter. It’s a privilege and pleasure serving you!